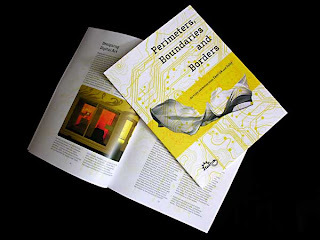 The ‘Perimeters, Boundaries and Borders’ publication (ISBN 978-0-652-355-2) is now available. You can buy a printed copy (for $18.95 US) or download it (full resolution, no cover, 80 MB) for free. 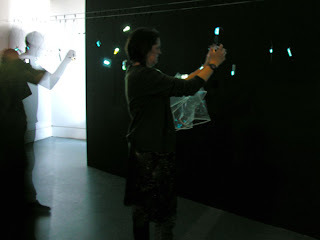 ‘Perimeters, Boundaries and Borders’ was made possible through funding and support from Arts Council England, Manchester Institute for Research and Innovation in Art and Design (MIRIAD) and Lancaster City Council. 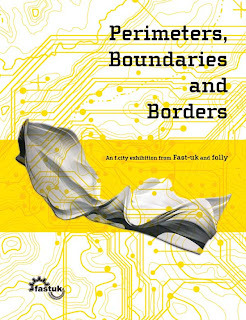 ‘Perimeters, Boundaries and Borders’ was presented by Fast-uk in partnership with folly as part of the f.city festival of digital culture in 2006. 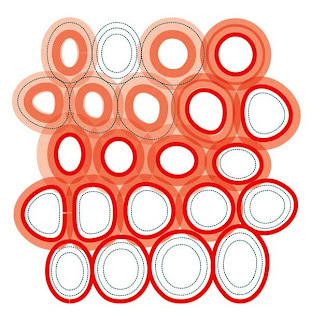 The publication is supported by MIRIAD. [N.B. If you were involved in the show I will be getting copies to you in the near future. If your contact details have changed please get in touch and let me know]. ‘Design Ethnography for the 21st Century’ by Paul Rodgers & Mike Anusas. 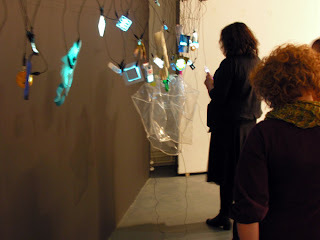 ‘I Love Digital’ by Jon Rogers. ‘Ontologies of Production: 21st Century Transformations in Manufacturing’ by me. ‘Creativity – Preaching to the Converted’ by Craig Whittet & Alex Milton. 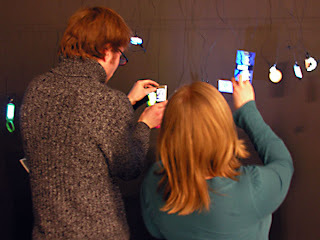 is a Shoreditch based studio producing a diverse range of work that includes interactive light sculptures, interactive environments, events and screen-based installations. 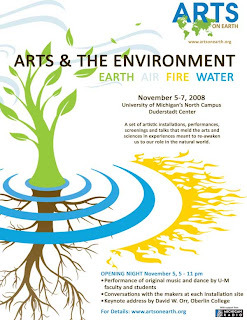 We explore the use of interactivity with the public and environment through the use of highly imaginative technologies. 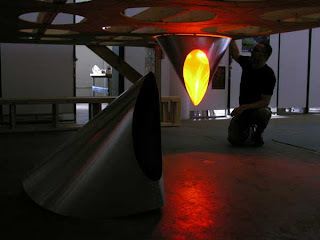 Jason Bruges Studio specialises in ‘interactive light environments’, from installations on the streets ofNew York to London’s South Bank. 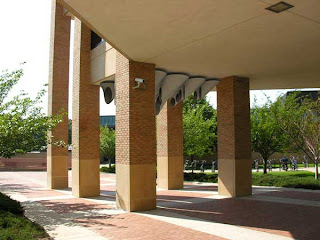 is an architectural curator, critic and author. Lucy has worked internationally with leading museums, galleries, cultural institutions, publishers and corporate bodies since 1987. Her latest book, Responsive Environments: Architecture, Art and Design (V&A Contemporary, 2006), explores the hybrid discipline of interactive architecture and design. She regularly contributes to Domus, The Plan, a+u, Volume, Architectural Record and Indesign, some of the world’s most authoritative international architectural magazines. On Friday 23rd November was the second Product Scotland workshop (supported by the Arts and Humanities Research Council (AHRC) Methods Network programme). 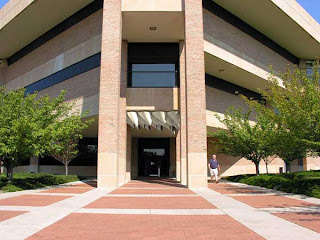 The subject for this workshop was the emerging field of digital product design. 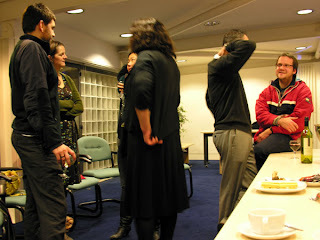 It was introduced and led by Jon Rogers and was held at the Visual Research Centre (VRC) at University of Dundee. Following on from the previous workshop, the themes explored were: Future Body, Future Food and Future City. 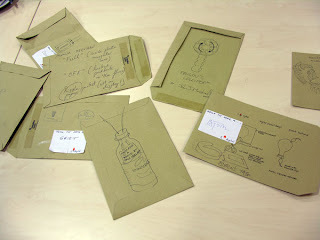 These were explored through augmenting a found or bought object acquired by doing a rapid “city-sample”. 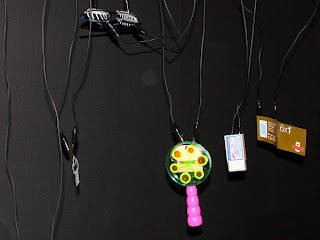 Basically we all went out and got something and brought it back to the VRC where we spent the afternoon enhancing these objects by embedding a piece of electroluminescent (EL) material into them. Afterwards there was a reception at Dundee Contemporary Arts (DCA) to look at the objects and talk about the day’s activities. 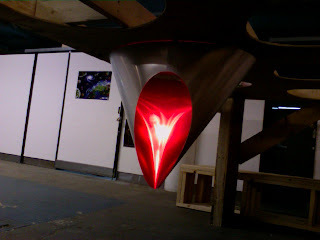 There was an emphasis on not being intimidated by the technology (in this case it really couldn’t have been simpler) and having fun with it. Which we did. 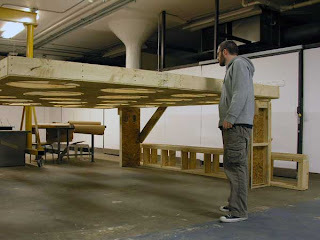 Like the previous workshop, the surprising thing was how much can be done in a short period. 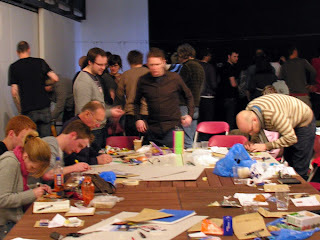 The next workshop will be at Gray’s School of Art on 6th December, 2007. 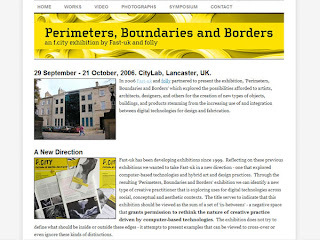 I’ve been trying out ‘Weebly‘ (fast and easy) as a means of getting the archive for the ‘Perimeters, Boundaries and Borders’ exhibition online (the Fast-uk site is badly needing a Web 2.0 update). 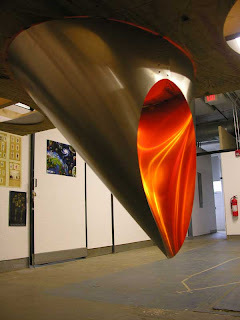 Most of the content that has been posted on this blog previously has been collected there and I’ve posted some new stuff, too. 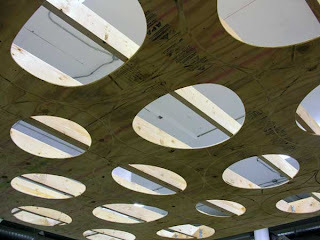 Product Scotland is a collaborative venture between Scottish Higher Education Institutes involved in product design. 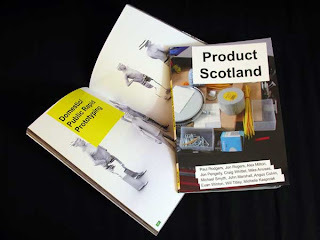 The aim of Product Scotland is to create a network that is primarily, though not exclusively, open to Scottish based product designers drawn from academic and industrial backgrounds and to achieve research excellence through knowledge pooling. 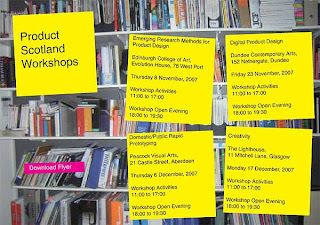 Product Scotland, with the backing of the Arts and Humanities Research Council (AHRC) Methods Network programme, are running 4 workshops between 8 November and 17 December, 2007 to communicate and advance knowledge and skills in product design and development.